Just a couple more days to get our Coupon Book! The coupon book contains deals for each month for a year. These deals add up to over $100 in savings. Complete your coupon book and be entered into a drawing for 50 free fat quarters! That's a $150 value. Cost of your coupon book is only $10. Coupon book sales will continue until the end of August. Come in and get yours, and you can use your first coupon right away! 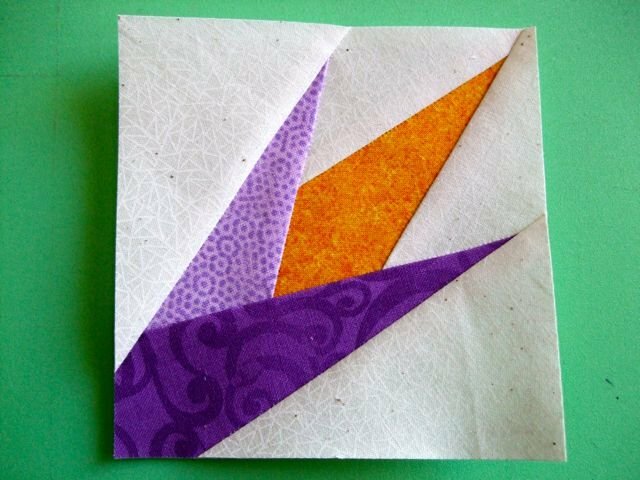 We've added a Paper Piecing Class! Sign up for this fun class. And . . . don't forget . . . your class supplies are always 10% off! Click HERE to sign up! Love the French General? So do we! Above are some of the beautiful Moda French General fabrics make up this year's Mystery Block of the Month. Last year's Mystery Quilt filled up fast! This one will too. Plus, you will receive an additional Three bonus projects FREE! This eight month program is $19.95 per month. Sign up soon! Only FIVE spots left! This program will begin in September. The stunning 13-month program will begin in January and finishes 92 x 92. Made with New Aged Muslins, this quilt will immerse you in the not quite solid muslins that give this project great movement. Made with easy piecing techniques, so it's even good for a confident beginner. The cost will be $15.95 per month. This one is sure to fill up fast so hurry!